AA/FD HQ, February 27, 2014–Despite the torrential downpour hammering Southern California this weekend, NHRA Heritage Series Top Fuel Champ Jim Murphy will test at Famoso Raceway, in hopes of leveraging his odds in winning a 5th March Meet Title. This feat would equal the accomplishment of Don Garlits, who claimed Top Fuel at Bakersfield in 1965, ’71, ’79, ’86 and ’87. As reported by Drag Racing Online, AA/Fuel Dragster stalwart Murphy is on a mission. 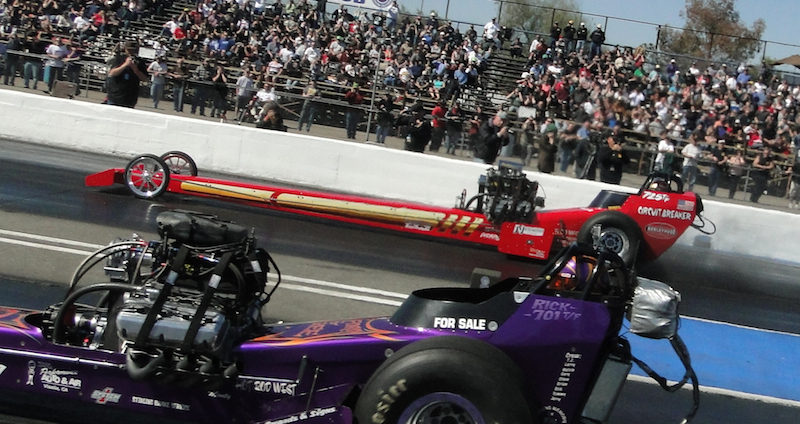 “We are going to be at the track Saturday to shake off the rust,” Murphy the defending 2013 NHRA Heritage Series Top Fuel champ, said in all modesty. In the DRO feature, Murphy explains his continuing quest to improve his chances at repeating as Heritage Series champ, as well scoring that coveted 5th March Meet. “We worked very hard over the winter on the new car that I got from Frank Ousley. It’s one bad hot rod and all we really did was make it a lot easier to work on, get the cockpit more comfortable for me and were able to take a little more weight off the car,” Murphy reported. 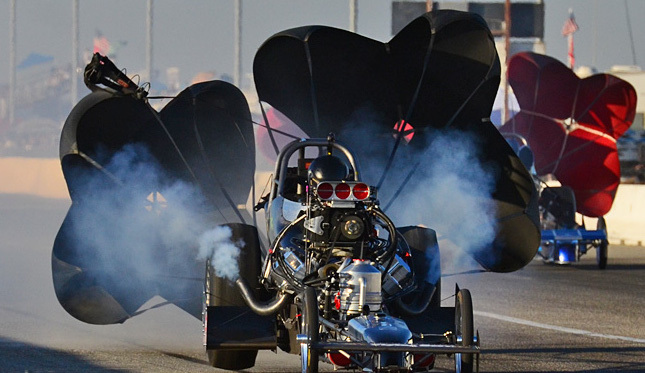 AA/FD HQ, February 25, 2014–With a healthy complement of AA/Fuel Dragsters added to the mix, Drag Racing Online is reporting fifty fuel-burning entries for competition at the upcoming March Meet. 2014 March Meet tickets are available at the Autoclub Famoso Raceway website.